Here’s how to create some wonderful espresso drink recipes. 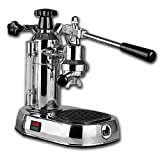 Let’s start with steaming the milk that will be a dominant feature in many of your espresso coffee recipes. It should be creamy and velvety, and the froth ought to be delightfully rich, never large bubbled, and not really dry such as a meringue that merely floats on the top. 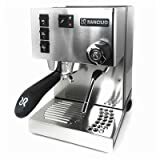 Further down this page I cover in detail how to steam milk for your espresso drinks, but first I need to give you an overview of the most popular espresso drink recipes. 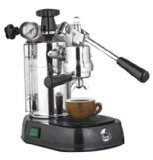 Espresso is the base for all gourmet coffee drinks. It’s produced by driving hot water through ground coffee at high-pressure. Espresso is also served neat as a Solo Espresso or Double Espresso. For directions see How To Make Great Coffee. Single or double espresso shot topped that has a dollop of whipped cream on top. Single or double espresso shot ‘marked’ with foamed milk. Generally one tablespoon of foam is used, but this is variable depending on your personal preference. 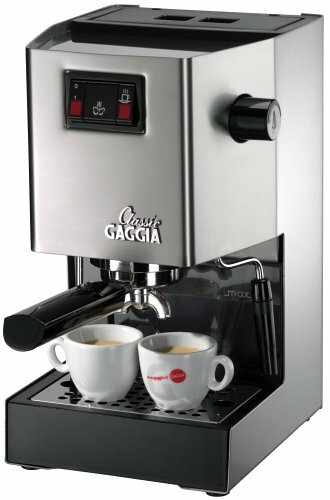 Single or double espresso with approximately 6-8 ounces of hot water poured till the strength resembles drip-coffee. In contrast to a conventional espresso, the Americano is frequently taken with added milk or sugar. Add around double the amount steamed milk as espresso, and then top your cappuccino using the foam from the frothed milk. Traditionalists will tell you that a Cappuccino should consist of 1/3 each of espresso, steamed milk and foamed milk. Garnish the Cappuccino with ground chocolate, cinnamon or nutmeg powder. Bone Dry Cappuccino implies absolutely no steamed milk (fill it with just espresso and foam). The froth of your cappuccino must be wet and velvety; it should combine and pour naturally together with the milk, and not merely sit on top of the beverage like a big bubble. Combine espresso and steamed milk having very little or zero froth on top. While you pour your steamed milk directly into the cup, use a spatula to help keep back the froth until the cup is around 3/4 full. Next top off your Latte with a small amount of foam. Preferably to be served using large bowl shaped cup. Frequently flavored using a variety of syrups to create flavored coffee recipes, such as vanilla, cinnamon, caramel, hazelnuts and many more. Single or double espresso shot is poured in to a cup. It’s then mixed with chocolate, steamed milk and foam is added (somewhere between a Cappuccino and a Latte). Optional toppings are usually whipped-cream and/or chocolate flakes. Single or double espresso poured on top of ice, along with three oz. of ice cold milk. Only freshly made espresso can be used, as espresso rapidly loses its flavor. 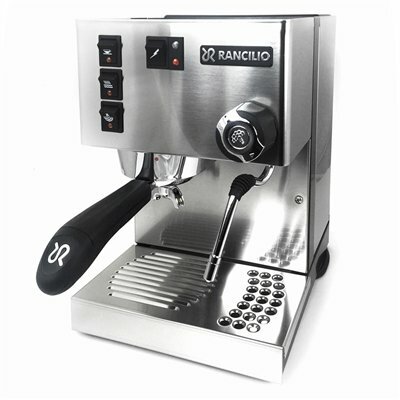 Ristretto implies a restricted pour and is produced just like a normal espresso except for that just around 3/4 oz of water is actually dispensed using an extraction time of around 17-20 seconds, as well as implementing a finer coffee grind than usual. A Ristretto highlights the intense espresso flavor and is actually sweeter than a normal shot, but has a similar quantity of caffeine. The constrained extraction is supposed to draw out just the finest qualities of your coffee without the bitter components. Again just like a normal espresso except it’s ‘pulled long’, normally around 1.5 oz of water is poured through the coffee grounds employing a much longer extraction time than normal, generally between 24-40 seconds. 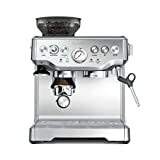 When you’re steaming and aerating is actually performed well, the smooth and creamy steamed milk and smooth, high-quality froth will produce a wonderful balance of flavors within your espresso. Your freshly frothed milk ought to arrive at a temperature of around 145 F or 63 C and then be allowed just a few seconds to sit so that the foam may rise to the top. This can help you layer the milk and espresso. Fill the steaming jug a third full with ice cold milk, this should certainly double or triple in amount when frothed correctly. Purge your steam iron by releasing the steam valve just for a couple of secs. This will stop you getting water in your milk. Take care the steam will be very hot! Immerse the steaming iron in to your milk and then switch on the steam power, do not allow the point of the wand to come out of the milk as this would result in splattering and produce big, tasteless bubbles. Aim the steam wand a little off center so all of the milk starts to flow quickly in a circular movement. Keep that milk going around with the point of the steam wand just under the surface. You should notice a hissing sound like cooking on a grill, and that is actually the position which is optimum to get air directly into your milk. The key to foamy, high quality milk is aerating while you steam, the actual bubbles need to be so tiny that you hardly see them. So the point of the steam iron should constantly be beneath the milk surface. The quick circulation of the milk will result in all big bubbles that develop rolling back in to the jug and vanishing entirely. 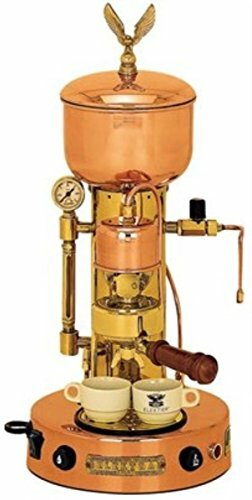 Keep in mind, that if your jug is set correctly you will not have to shift it at all, the steam force and angle should maintain the circular movement. As the milks level stretches and grows you will need to gradually lower the steaming jug. As soon as the milk heats to 145 F or 63C, cease steaming since over-heating or burning the milk will produce a terrible flavor. Next tap the base of your jug gently on the counter top a couple of times to eliminate any remaining large bubbles. Now clean off your steaming wand and give it a short purge to expel any leftover milk. 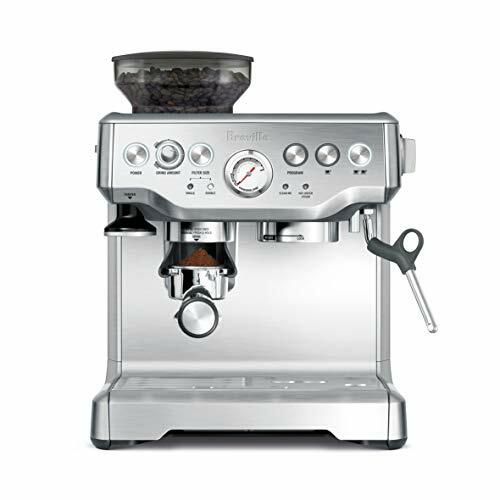 You are now ready to pour one of many fantastic espresso drink recipes.